Cypress California, April 6, 2018 – EIZO Inc. today announced the new ColorEdge CG319X – a 31.1-inch monitor with DCI-4K resolution (4096 x 2160) and HDR gamma support for the professional post production workflow. It is the successor model to the CG318-4K with several upgraded features. 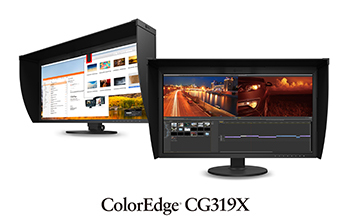 The ColorEdge CG319X will begin shipping in June 2018. 4 Usage time is limited to 30,000 hours.